Just a quick one today. Look at this little beauty which came in the mail recently. The Evolv Adaptive Foot and the corresponding Eldo-Z climbing show. 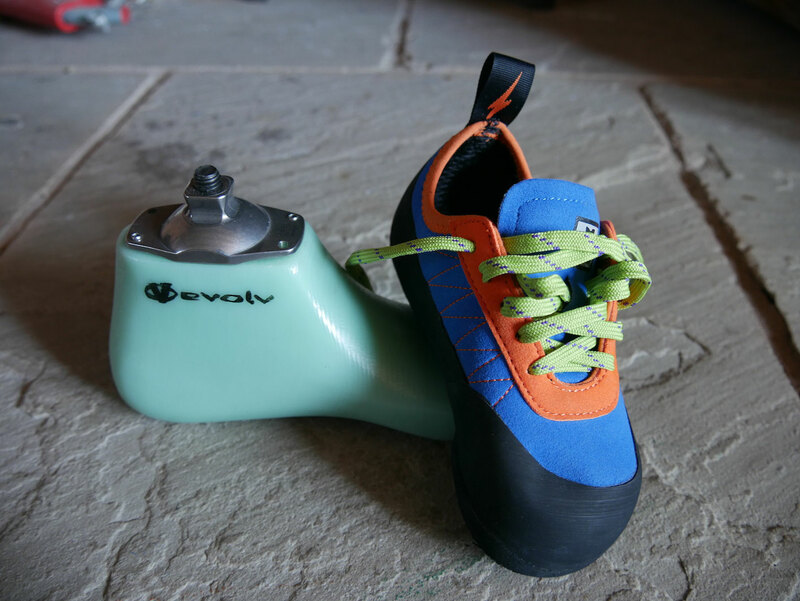 Can’t wait to test this combo at my local climbing wall and out in the crags. For the last few years I have been climbing with the ADK climbing foot from Mountain Orthotic and Prosthetic Services (here is a review about the ADK climbing foot). 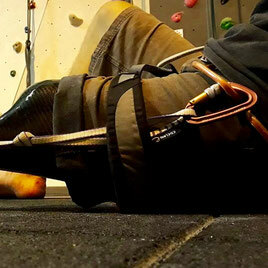 And while in my eyes there are a few quality issues with this foot, I think it’s a decent option for amputee climbers. 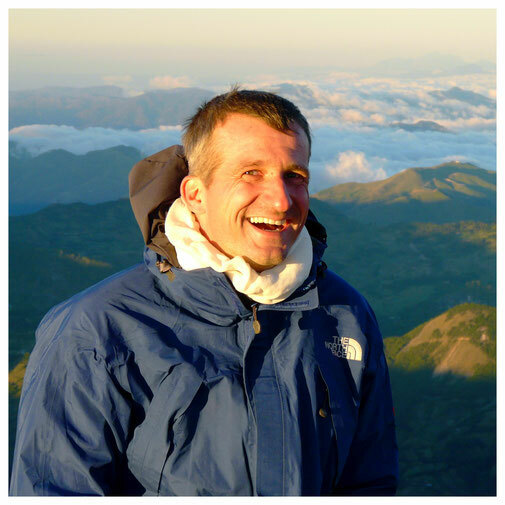 It sure helped me to be active, move up the grades, get into lead climbing while preventing some of the finger injuries I was battling with when still climbing without a prosthetic foot. But now it’s time to try out something new. So you can imagine how excited I am to be able to test the Adaptive Foot by Evolv (disclaimer: Evolve provided this foot and the corresponding shoe so I can test it). The foot/shoe combination has a great reputation among paraclimbers. 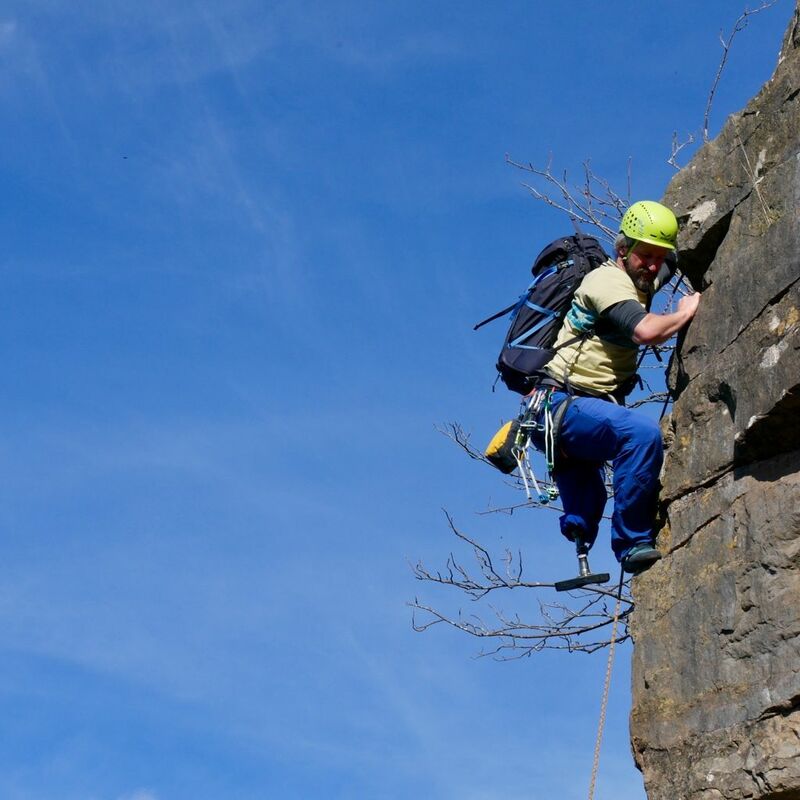 And it has been developed in close cooperation between Evolv, the climbing shoe company and Ronnie Dickson, the first lower limb amputee who bouldered a V10. Treat yourself and watch one of Ronnie’s videos; e.g. Adaptive Climbing Clinic with Ronnie Dickson - Joshua Tree, CA. Over the coming weeks I will test this foot and see how it performs. When it has seen a variety of routes, both indoors and outdoors, I will let you know what I think about it. So watch this space. As there is such and interest in this amazing sport, I would like to share one more tip for those of you who want to give it a go. 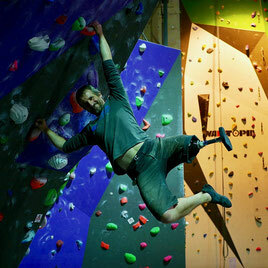 For those among you who might even try climbing with your prosthesis or a special climbing leg/foot.